Whether your Nana is a grandmother, mom or mother she is love and warm hugs! And did you know that the word "Nana" derives from the Hebrew word for "grace" and from the Hawaiian name for "a month in spring"? Perfect definitions for such a wonderful woman! 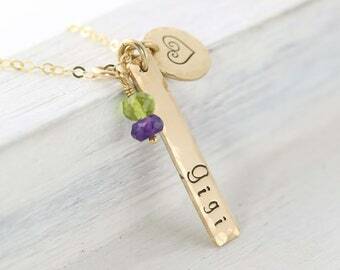 Wouldn't it be nice to honor her with this personalized hand stamped necklace? She will LOVE it! 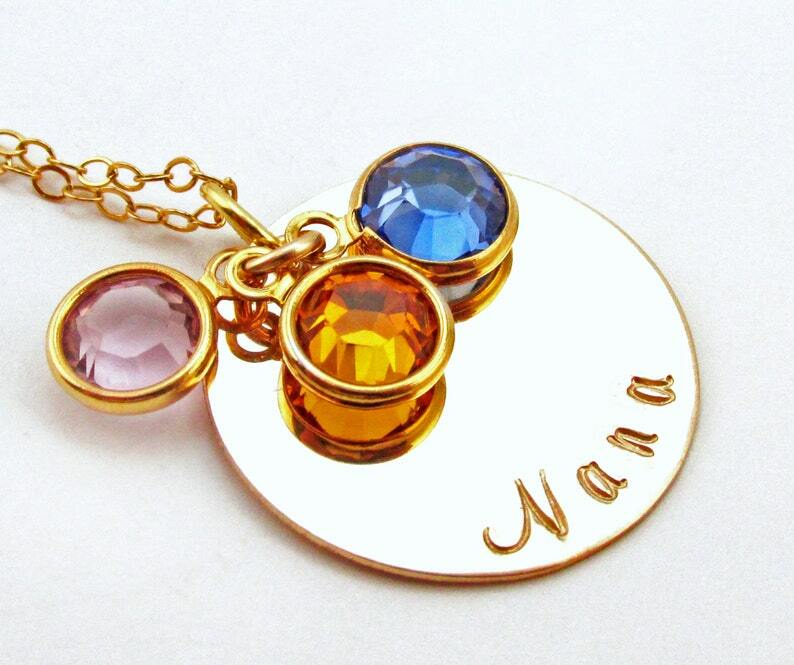 ~ 3/4" 14K Gold Filled Disk Hand Stamped with "Nana". 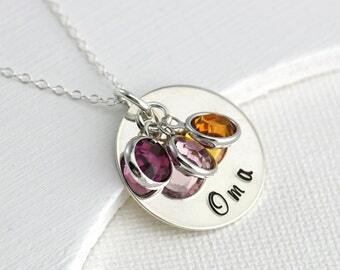 Want it to say something else? No problem, just let me know in "message to seller" during purchase (maximum characters is 20). Gold Filled: Gold-filled is an excellent alternative to solid gold, it looks exactly the same, is of comparable quality, but costs half the price! Gold filled is much more valuable and tarnish resistant and is not to be confused with gold plating, as filled literally has 100% more gold than gold plating. It does not flake off, rub off or turn colors. As a matter of fact, anyone who can wear gold can wear gold filled without worries of any allergic reaction to the jewelry.